Several times a year I serve as a motivational speaker for government employees. Usually, government managers assume government service employee morale is lower than for other (private) organizations. The challenges with working in government is public servants are often under the public's scrutiny, they lack resources, and there is a lot of change. Most government work is accessible to the public. These are taxpayers who feel they have the right to scrutinize civil servants work. Government leadership needs to keep staff focused on the positive aspects of their work and drown out the negative banter. Sometimes the work is far removed from the actual citizens who experience it. Getting out of the office and seeing how the paperwork and behind the scenes work makes a difference to voters can go a long way to boosting morale. 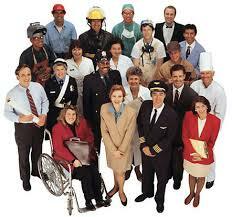 Public servants find meaning in their work by making a positive difference in the community and the lives of people. Keeping that purpose front and center to work is critical to boosting morale. Like most organizations, the government is stretched, so employees have to do more work with fewer resources. Workloads increase and eventually some employees will feel overwhelmed. Pulling together as a team is the best way to respond to limited resources. When we lean on each other, we are far more productive than working on our own. Many choose public service because it is perceived that the government is stable. However, because of the nature of politics and evolving political parties and policies, change is constant. Developing an optimistic and positive attitude for change is essential to navigate the future. Change can either be an uphill battle or a welcome journey - either way, you are right.